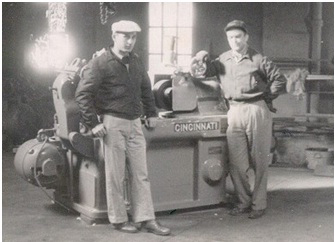 Boston Centerless was founded in 1958 by Len Tamasi with a single centerless grinder. The company initially provided thru-feed centerless grinding services. After a few years of offering grinding services, Len determined that there was a distinct need for accuracy ground bar stock for Swiss screw machining and other precision machining applications. To better manage the quality and consistency of size tolerance, straightness, roundness and surface finish, the AccuRod® Division was created. Today, the GrindAll Division provides thru-feed and in-feed centerless grinding services on customer supplied components and material, and the PinGage Division manufactures ultra-precise gages. The corporate location is a 45,000 sq. ft. state-of-the-art facility in Woburn, MA. We have 3 distribution centers strategically located across the country in Woburn, MA; Cleveland, OH; and Minneapolis, MN. We have earned a reputation over the years for unequaled quality and service. Our unique combination of proprietary grinding competencies, lean management systems, Core Values and national scale have resulted in our ability to manufacture ultra-precise ground bar materials and technical solutions which provide unmatched downstream savings for our customers.